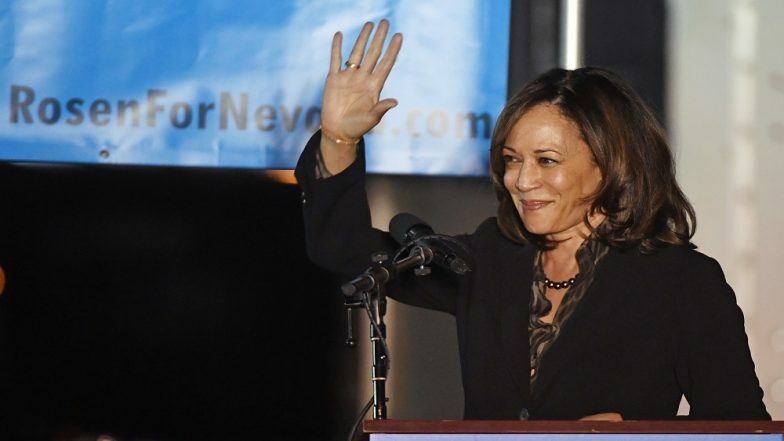 Washington, March 24: US Democratic presidential candidate Senator Kamala Harris, who is of Indian and Jamaican descent, has called for allocating a large federal investment to improve teacher salaries nationwide. "Because right now, teachers are making over 10 per cent less than other college educated graduates and that gap is about $13,000 a year, and I am pledging to you that through the federal resources that are available, we will close that gap." US Presidential Elections 2020: Bernie Sanders Vows to Fight Racial, Economic Injustices in US if He Elected. Harris' proposal would be the largest ever federal investment in teacher pay, she said. Harris' proposal also comes during an uptick of teachers' strikes across the country, CNN said.